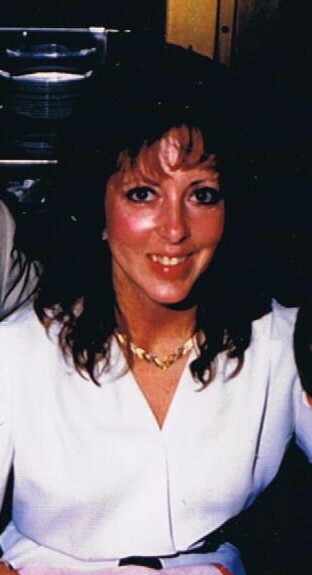 Connie Sue (Wilson) Richards, born October 27, 1955 in Joliet Illinois, raised in Ooltewah, TN, a previous resident of Kissimmee, FL and current resident of Venore, TN, finished her brave 5 year fight with cancer on April 8th, 2019. Welcomed into the arms of her savior, reunited with her family and friends gone before. Walking the streets of gold, no more pain or chemo treatments, finally at peace and home. Connie will always be remembered as an amazing wife, mother and friend. A woman of amazing faith in the Lord Jesus Christ, she used every opportunity to tell others of Jesus’ love and grace. Her faith strong as she never once waivered or questioned her cancer diagnosis and battle. A smile on her face and uplifting words were often found even on the worst of days. Connie was preceded in death by her father, Charles Lee Wilson of Ooltewah, TN. Left to cherish her memory, her husband of 37 years, Roger Wayne Richards of Vonore, TN, mother, Mary “Elizabeth” Wilson of Ooltewah, TN, brother’s, John (Kathi) Wilson of Greenback, Tennessee, Bruce (Karen) Wilson of Ooltewah, TN, sister, Linda (Steve) Drake of Belton, SC, daughter’s, Carrie Sue (Mitchell) Green of Cleveland, TN, Faith Aldea (Gary) Hakes of Chickamauga, GA and son Joseph Wayne Richards of Vonore, TN. Grandchildren, Dexter Dailey, Spencer Dailey and Cooper Green, all of Cleveland, TN, Taylor (Britney) Hakes of Rossville, GA, Tori, Alexis, Lorenzo and Leo Hakes of Chickamauga, GA. Great-grandchildren, Logan, Nolan and Oliver Hakes, all of Rossville, GA, half-brother, Douglas (Louise) Roach of Cohutta, GA, sister-in-law, Patricia (Tim) Johnson, of Rossville, GA, nephews, Samuel King and Jason Wilson, niece, Jessica Bauman. A very special family friend Debra Chambers of Kissimmee, FL. Connie will be greatly missed by her family and friends. She wants everyone to know she is with her Savior Jesus Christ. Do not be sad for her because she is completely and perfectly healed. We will one day all be reunited, oh what a day that will be. Today many of us cry as our hearts are broken. A wife, daughter, sister, mother, mamaw, friend, a wonderful Godly woman, has left this earthly home, and doing so, has caused a huge void in many of our hearts. A funeral service will be held on Friday, April 12 at 2 PM in the funeral home chapel with Rev. Robby Jackson officiating. Burial will follow at Old McDonald Cemetery. The family will receive friend on Wednesday, April 10 from 4-8 PM, Thursday, April 11 from 4-8 PM, and Friday, April 12 from 12-2 PM at Heritage Funeral Home, 7454 E. Brainerd Rd.